There are now two options to welcome your new baby- First of all a Thanksgiving Service if you wish to recognise the gift of your new baby with Families and Friends but not have a full baptism / christening. Or the traditional Christening service. 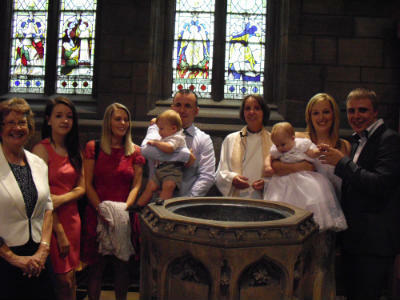 During your Christening service you will be baptized as a Christian. 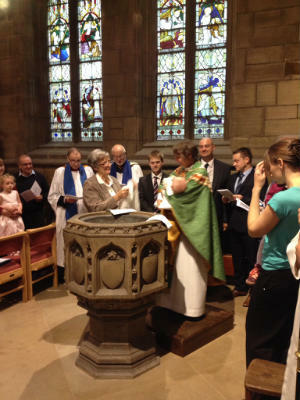 The Baptism can be held within the main service at 9.30 a.m., or during a separate service on Sunday afternoons. The Church of England has a new website explaining all about the wonderful journey with God that you will embark on and has lots of information for parents, godparents and guests - click on the image below. Baptism services will normally take place once a month, with a maximum of three individuals on each date. We are delighted you are considering being married in Thornhill Parish Church. If you are doubtful about whether you may be married in church please ask. 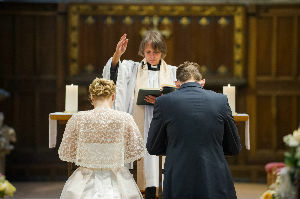 A quarter of all weddings take place in a Church of England church. We average around twenty weddings per year in our church. 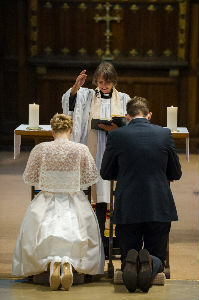 As well as marrying in church, some couples hold a Service of Blessing after taking their civil vows in a Registry Office. All churchyards are covered by Diocesan Regulations . New regulations which we have to abide by came in on the 23rd February 2017 see them on the churchyard page here particularly before ordering headstones.